Today’s outfit was inspired by my favorite fall must haves. 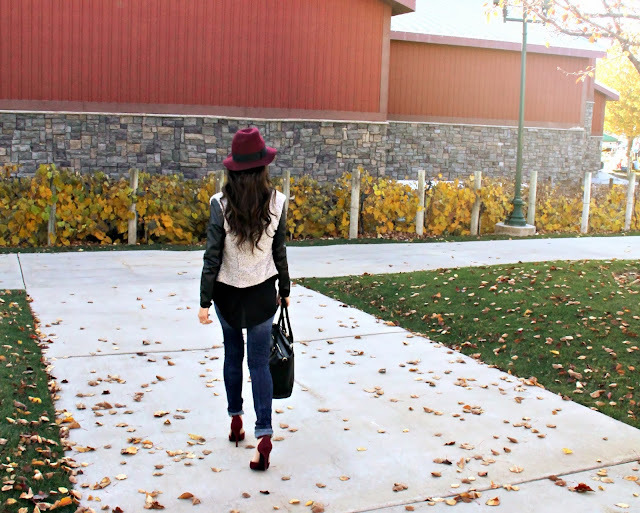 In my opinion, every fashionista needs a burgundy fedora, faux leather sleeve jacket, burgundy heels, and of course a gorgeous necklace from Statement Boutique to tie it all together. The best part about most of these items, they transition perfectly into winter. I cant believe its already November, seems like just yesterday I was flipping my calender over to October. Yikes! I Love this outfit! 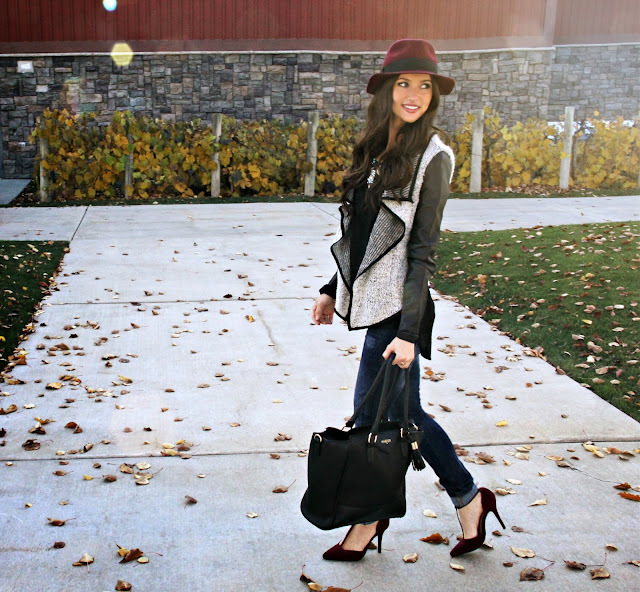 The hat, the jacket, the necklace, and the shoes are all so gorgeous! Love the shoes! That Oxblood color is TO DIE FOR! Thank you! They are by far my favorite. 🙂 Love your blog, would you be interested in doing a blog collab with us? 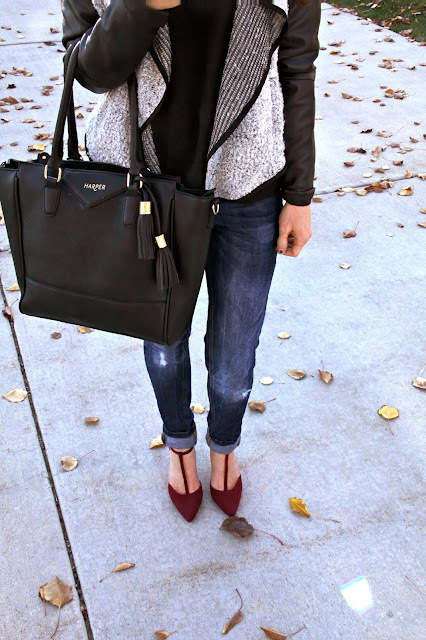 Loving the Berry color trend this fall!! Gorgeous outfit – the perfect fall look! Thank you, and thank YOU for having a link up! Love it!